it helps prevent and protect chapped, cracked or windburned lips and smooth application makes your lips soft. 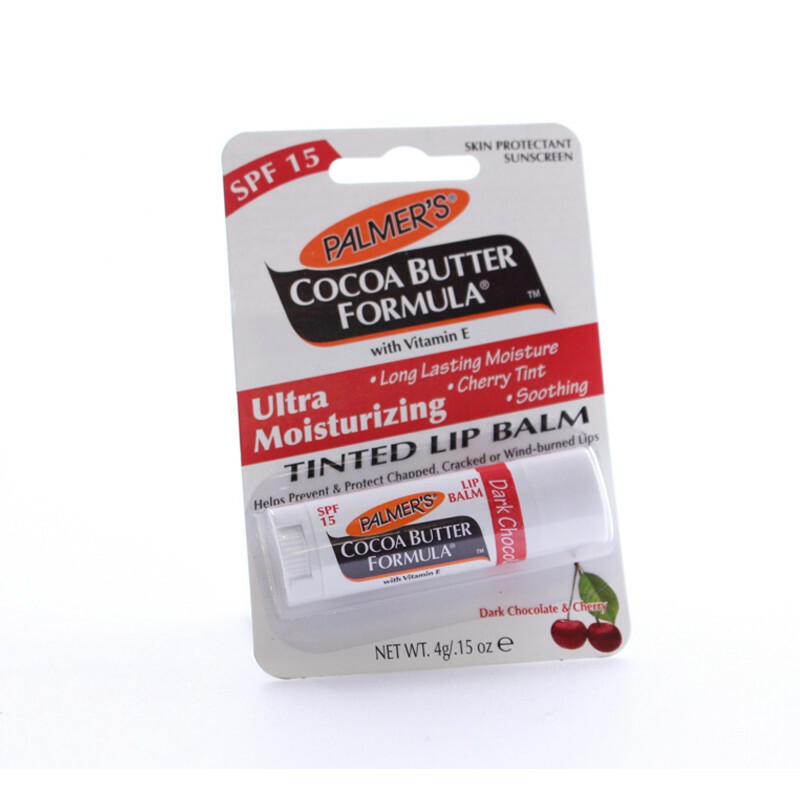 Palmer's Cocoa Butter Formula Dark Chocolate & Cherry Ultra Moisturizing Tinted Lip Balm, enriched with Vitamin E and with the added benefit of SPF 15, helps prevent and protect chapped, cracked or wind-burned lips. Smooth application and convenient size make this the perfect year-round lip balm, leaving lips soft with a subtle cherry red tint. A rich, natural moisturizer that leaves skin soft and silky, transforming even the roughest, driest areas into buttery soft skin.